Actor Ben McKenzie has come a long way since his teen-drama days on “The O.C.” After adding producer to his resume, starring in the hit television series “Gotham,” and moving from southern Cali to NYC, McKenzie is now looking to make another change and find a larger home for his growing family. 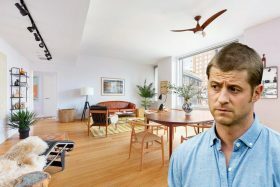 The Post reports that he and his wife, fellow “Gotham” star Morena Baccarin, have put their Battery Park City condo on the market for $2,675,000. 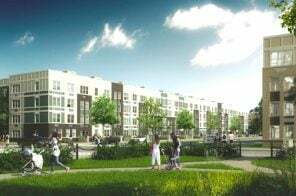 Clearly, the couple has good taste, as the sunny, stylish pad at 2 River Terrace is decorated with Scandi-chic furniture, boho accents, and contemporary light wood finishes. The star actress of the long-running TV show, “How I Met Your Mother,” Cobie Smulders, and husband Taran Killam, Hamilton actor and SNL veteran, have listed their apartment at 2 River Terrace in Battery Park City for $3.995 million. 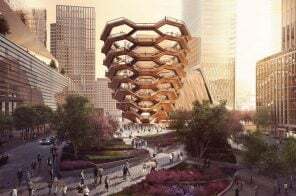 As first reported by Luxury Listings NYC, the 1,580-square-foot-condo has three bedrooms, three bathrooms and boasts a private landscaped terrace. 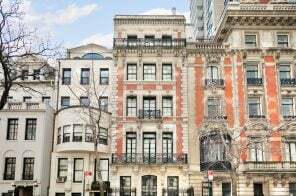 Other celebrities like Leonardo DiCaprio and Tyra Banks have also lived in the building, and filmmaker Oliver Stone just bought an apartment there. 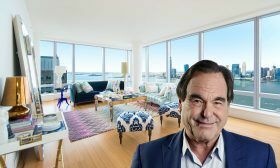 Award-winning screenwriter, film director, producer, and New York native Oliver Stone is moving to Battery Park City. 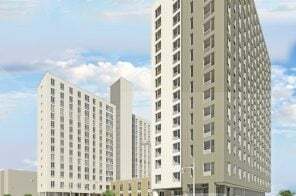 As the New York Post learned, Stone is buying a 24th-floor condo at Riverhouse at 2 River Terrace, a building home to Leonardo DiCaprio and formerly, Tyra Banks (whose duplex hit the market last month for $17.5 million). The $4.35 million apartment boasts 1,982 square feet and floor-to-ceiling windows.